JOHN FIORELLO is a founding partner of the law firm of Fiorello Puccio & Fiorello LLC and has been practicing law in northern New Jersey since 1965. Mr. Fiorello's practice focuses primarily on Family Law, an area in which he has extensive experience. He was awarded the Professional Lawyer of the year Award for Passaic County in 2000 given by the Commission on Professionalism in the Law. Mr. Fiorello received his Juris Doctor Degree from Seton Hall University School of Law in 1962 where he was a Centennial Scholar. He received his Bachelor of Arts Degree from Seton Hall University in 1959. Mr. Fiorello concentrates his practice in the area of Family Law including divorce, custody and visitation, spousal and child support, property settlement agreements, prenuptial agreements, domestic violence and related areas. He also handles local government, zoning and planning matters and served as Municipal Attorney for the Township of Wayne for 8 years, and as Assistant Passaic County Counsel for 3 years. He serves as special counsel for the Township of Wayne for affordable housing matters and as attorney for the Woodland Park Board of Adjustment. Mr. Fiorello also handles civil litigation matters at the trial and appellate levels. Mr. Fiorello was a founding member and a Master of the Northern New Jersey Family Law Inn, American Inns of Court. He is also an approved Mediator of economic matters in Family Law cases. He has appeared as a presenter at Family Law Continuing Education Programs. 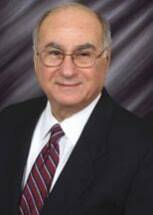 Mr. Fiorello has served, pro bono, as the attorney for the Wayne Township Memorial First Aid Squad since 1989. Mr. Fiorello served on active duty in the United States Army Reserves from 1963 to 1965 and was honorably discharged with the rank of Captain. Wayne Senior Citizens Runnymede Corp. Recipient of AV Preeminent Peer Review Rating through Martindale Hubbell. This rating indicates that Mr. Fiorello was rated by his fellow attorneys to have achieved the highest level of professional excellence.